After a long week of unhealthy eating its time to work out and eat healthy again. So in order to stay healthy again I started my day with a morning yoga routine, used my legs weights, dumbbells and squats! 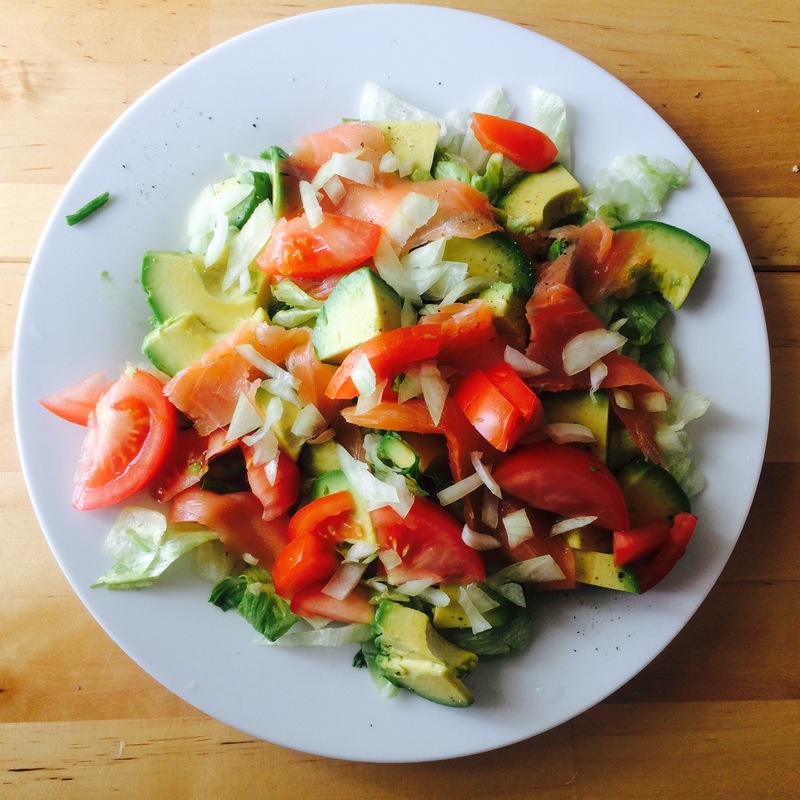 Afterwards I made a fresh salad for lunch, a salmon, avocado, tomato and lettuce salad with a little salt and pepper. It’s simple, easy, healthy and lip smacking. To top this up, add a poached egg for an extra protein enriched salad!